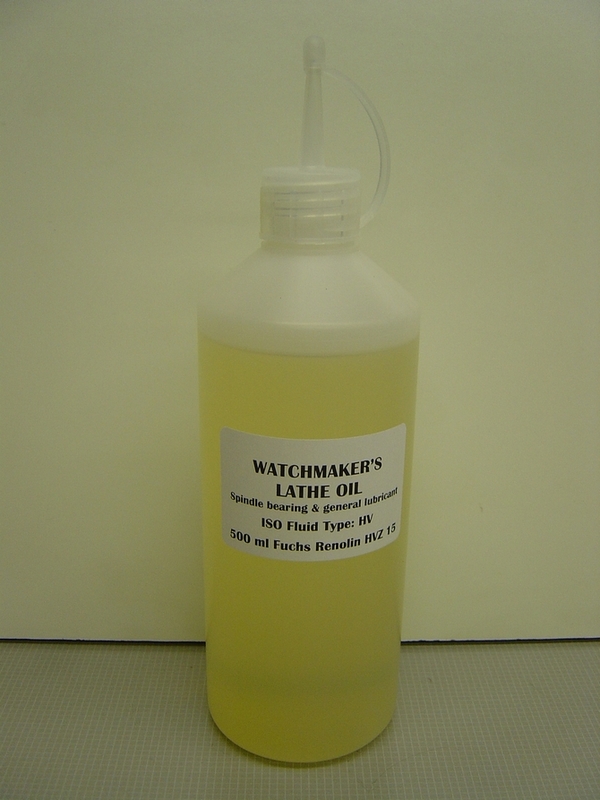 Spindle and general lubricating oil suitable for most watchmaker's and small lathes. Can generally be used for lubrication of steel & bronze plain bearings and rolling element spindle bearings by drip feed, wicks, capillary wires or reservoirs. Also used for lubrication of high speed spindles, slideways and feedscrews.